Spain is the second largest producer of wine in the world, the largest being France and the third Italy. The best known Spanish wine is probably Sherry, which is produced in Jerez. Manzanilla is a variety of fino sherry made around the port of Sanlúcar de Barrameda. In Spanish, chamomile tea is called “manzanilla”, and thus this wine gets the name because the wine’s flavour is said to be reminiscent of such tea. The sherry is manufactured using the same methods as a fino and results in a very pale, dry liquid. In addition, the sherry is often described as having a salty flavour, believed to develop from the fact that it is manufactured on the sea estuary of the Guadalquivir river. Sanlúcar de Barrameda’s cool temperatures and high humidity contribute to a higher yield of flor yeast than in Jerez or El Puerto de Santa María. The thicker cap of flor better protects the wine from contact with the air, resulting in a fresher, more delicate flavour than other varieties of fino. The country’s three most important red wine regions are Rioja, Ribera del Duero, and Penedes. Ribera del Duero lacks the long history of Rioja and was recognized as an official wine region in 1982, although most Spaniards would say that the best Spanish wines are produced in this region. Penedes produces both red and white wines. The largest Spanish wine brand name, Torres, is a major producer there. Until about 25 years ago, Spanish red wines were generally of mediocre quality. Many were aged too long in wood, overpowering their freshness and fruit character. However, quality has risen to the point that they compete successfully in the international market. Very high quality Spanish wines have recently become “trendy” in some circles. Wine critic Robert M. Parker, Jr. has identified the following as Spain’s greatest estates: Artadi, Clos Erasmus, Alvardo Palacios, Tinto Pesquera, Dominio de Pingus, and Bodega Vega Sicilia. Gran Corona Mas La Plata 1970 received first place in the important Cabernet blend category of the Wine Olympics. The most valorized white wines come from Galicia (D.O. 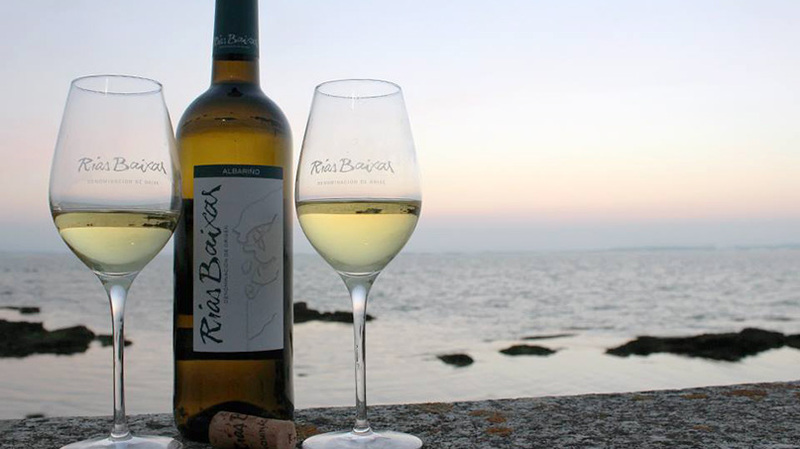 Rias Baixas and Ribeira). The most recognized of the grape varieties is the Albariño. Another nice area for white wine is Rueda in the Valladolid province, where the most used grapes are from the Verdejo variety. Denominación de origen is an appellation primarily for Spanish wines, but also other foodstuffs. It is closely modelled after the Italian DOC. As of 2006, 65 wine regions have DO status. The DOCa label was introduced on 3 April, 1991. Rioja is the only appelation to hold a DOCa status.The recognized wine producing regions in Spain grow a wide diversity of grapes, mostly of native origin. The great variety of wines with unfamiliar names causes confusion among many consumers.